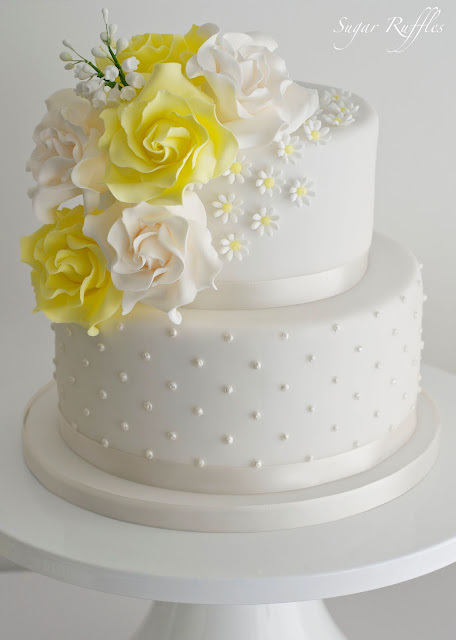 A 2-tier wedding cake with swiss dots, topped with a cascade of yellow and ivory roses,lily if the valley and daisies. 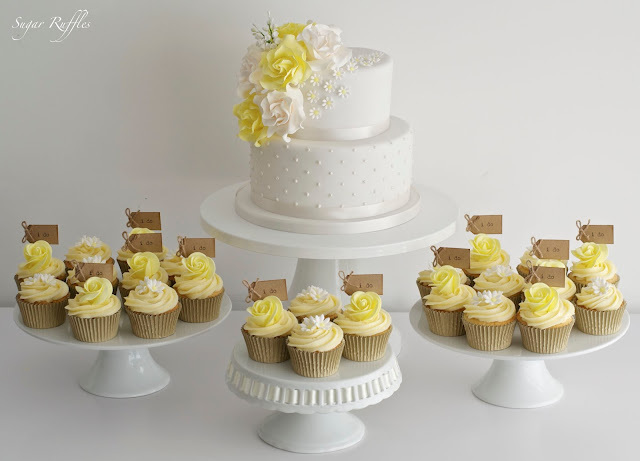 Both tiers were traditional rich fruit cake and were presented alongside some vanilla cupcakes topped with yellow sugar roses and daisies. 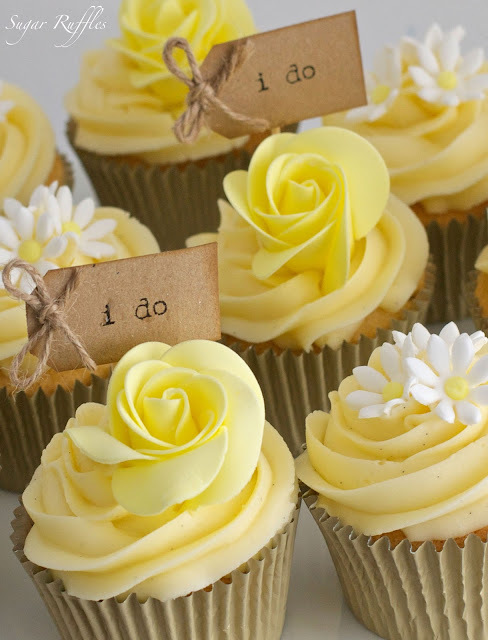 Delivered to Merewood Country House Hotel for the wedding of Charlotte and James. Congratulations to the happy couple!